Excellent post. There are millions buying into this movement who only see the “green mask”. If what is behind the mask is revealed to a larger extent the anger released will be palatable and another huge swak of the populous may be awakened. Great work as usual James. It is a difficult subject as so many (including my own family) see the Climate Change movement as the big stand again fossil fuels and corporations – the only chance to “save” the environment. As they cling onto this ideology like a life-raft, they often refuse to even look sideways at anything that challenges this belief, no matter how much evidence is presented. *Sigh. Thanks, James! Climate change as a political catalyst for transforming energy-markets is rife with pitfalls for everybody. Skepticism about human-induced carbon-based climate change is the high ground here. The standard argument is in no way a proven point. Still, I think there is some logic to the possibility that atmospheric equilibrium could be disturbed by the industrial exploitation of coal, petroleum and natural gas on the scale as has occurred over the past century. This is especially so in light of William Engdahl’s recently reviewed work, which explains the origin of “fossil fuels” – apparently a significant misnomer since these mined substances are more likely geologic in their origin, rather than the result of sedimentary deposits of biomass. What that means though is that atmospheric levels of carbon have not just shifted due to biological degradation of the planets eco-systems, in other words the loss of vast tracks of forest grassland, wetland and jungle habitats that sequestered carbon in their biomass, but that new and enormous quantities of carbon have been introduced into the atmosphere that had previously always been geologically sequestered – a picture of very different proportions. This reminds us that long, long before humans walked the earth, micro-organisms were transforming our atmosphere into the oxygen rich medium that makes human life possible today. Apparently, “biologic agents,” including humans, can inadvertently transform the basic equilibriums of the earth’s ecosystems. 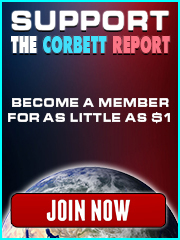 At the same time, the current exploitation of carbon-based fuels has only been perpetuated as long as it has because of political realities most readily summarized by the word petrodollar, and naming the shadow government of crony capitalists that finance the world’s markets, a.k.a. 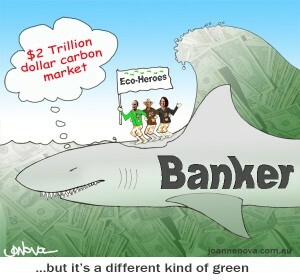 banksters. We know about the conspiracy to quash mass-transit systems in favor of the more lucrative automobile highway system. I have books that were published more than half a century ago that document alternative home-energy models that were very effectively shut-out of the housing development agenda in favor of maximizing carbon-based fuel consumption. 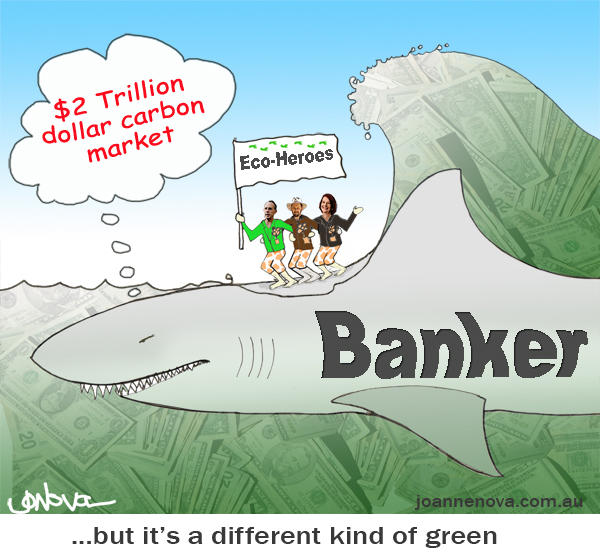 The business models for carbon-based fuels are ideal for the banksters. The alternative models tend to decentralize the energy economy and liberate individual households from having to pay into the traditional energy-market‘s daily-consumption revenue streams. Now that the alternative energy-markets are ripe to the point that they can no longer viably be suppressed for long, the “powers that are, and shouldn’t be” want to shape the emerging new-energy-economy so that it remains inextricably biased in their favor. This all points to the great hurdles we face in confronting the mass of activists that have been brain-washed into believing that a carbon-tracking energy-economy will save the planet – which is in the end just another way to ensure the enslavement of the mass of people to the banksters as you describe so well. 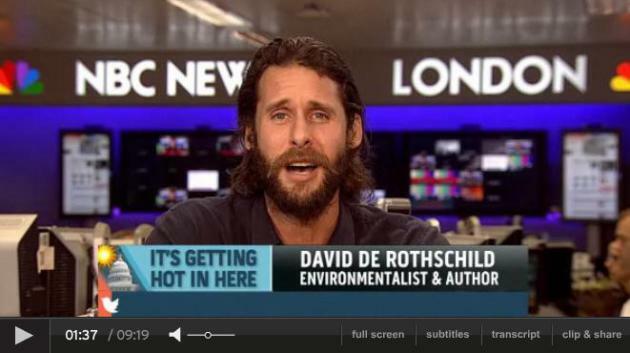 But I think all this makes the very complex “climate-change” debate moot? The problem is the banksters and their deceptive shaping of markets so that they appear legitimate, but that in actuality manifests a shadow government that then employs the military-industrial complex to horrific effect – the modern police state and imperialist powers. Perhaps if we emphasize as you do here how the energy-transition financiering institutions are corrupt and cannot lead on this transition, regardless of climate-change arguments, we’ll be better able to persuade earnest and misguided political activists and save them from inadvertently helping their worst enemies? 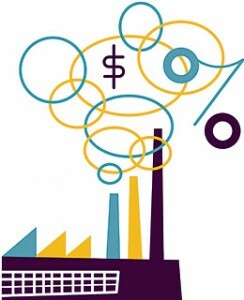 The fact that carbon-rationing and swapping has already been discredited amongst some leading green activists that do not question carbon-apocalypse-models is a good sign that the financier exposé strategy may have some efficacy – we don’t have to give up questioning climate-change science, but our lead might more effectively focus on the specifics of the banksters’ schemes. For many the caveat to this is incentivized and even mandated transitioning, but in our defacto central-command-economy that is still preferable if the development models rely on decentralized distribution of on-site renewable energy, which will eventually transform society in any case. I would state with emphatic emphasis that on the grass roots level people involved in trying to highlight the facts have never given any support to carbon trading. As always here there is this effort to paint real environmental activists as being duped into playing big oils game. This is not a fact. 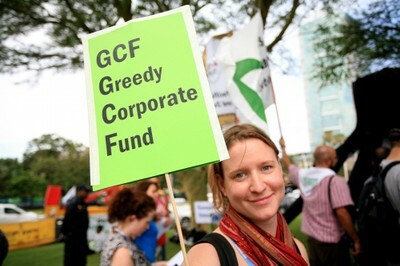 And I find it difficult to see why no effort is made to destinguish the real from the big oil sponsored. As I repeatedly point out here the only people locked up and prevented from being heard in Paris were environmental activists, many of them scientists, who have more or less the same !message as here but can and do demonstrate climate change is all to real. Sorry to be out of context. 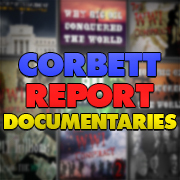 Corbett is it possible that at some point you make a serious article or postcast or even small video about the control of human population through the control of fertility and birth rate by the development of Surrogacy,pesticides,Assisted reproductive technology and Artificial uterus ? While we talk a lot about the Malthusian side of the oligarchy we often neglect the technical and political means they promote,fund and wanna set up or had set up to control human population through scientific and/or artificial reproduction.I believe surrogacy advocacy and artificial Uterus research are such means to ultimately allow facilitate and realize the scientific control of human population birth rate by making it acceptable for the public to differently procreate.Without doubt the scientific control of human population birth rate would be the ultimate way of controlling the human race.We should probably associate it to Biological patents though,but I believe that this is the ultimate aims of the globalists.More I think about it all more I see in all this push for surrogacy the Aldous Huxley’s vision of the world described in his famous book. Anyway I would love to see you talk about that. Sorry for having been too long James. Did you happen to catch these ones?